ScanDisk is a windows utility used to verify any windows hard disk for error and if any error found then it corrects it with ease. 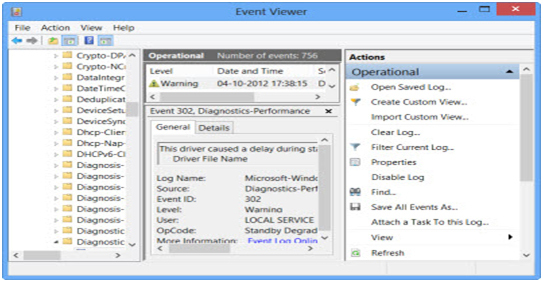 This inbuilt windows-utility is very efficient and useful to correct hard disk error. But in windows 8 ScanDisk tool is little different from the previous versions of Windows. Hard Disk error may occur due to many reasons such as improper or sudden shutdowns of computer, because of corrupted software, metadata corruption, and more. By using this scandisk utility one can easily scan and fix hard drive errors. If you are using windows 8 and want to scan and fix HDD errors then don’t worry because this efficient HDD error repair tool will help you to make your computer hard disk error-free. In Windows 8 Scandisk utility is redesigned by the Microsoft, a file system called ReFS is introduced by Microsoft. This file system doesn’t require offline CHKDSK to fix hard disk error. It uses a special model for resiliency and therefore it does not require running the usual chkdsk utility. You can check your hard disk for file system errors, bad sectors, lost clusters and etc. You can also see the state of a file system and hard disk through the Action Center or in the Drive properties in File Explorer. You can use the computer system while the scan is carried out in the background. If errors are found, you may be prompted via a notification to restart your computer. To start the scanning process right-click on the Drive partition that you want to scan and choose Properties. Then click on Tools tab and click on the Check button that presents under Error checking. Through this, you will check the drive for file system errors. 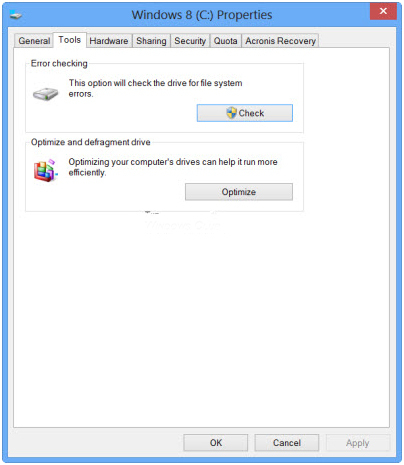 If the computer system detects any errors then it will ask to check the disk and if no errors are found then it displays an error message– You don’t need to scan this drive. To select the check drive click on Scan drive to do so. After it scanning will start, it is quite faster than the previous version it takes less than 5 minutes to scan a whole partition. After the completion of scanning, if no errors are found then Windows 8 will display the message given below. If any error found then you have to restart your computer system to repair file system. You can restart the repairing process or schedule this task. In Windows 8/8.1 operating system Microsoft added the Disk Error detection and correction of file system errors less disturbing, so the user can easily scan and repair their hard disk without any complication. But sometimes errors are bigger and you need to repair any third party error repair tool, this tool is efficient and example of the latest technology that can able to repair all types of system errors. This tool is designed with a very simple user interface through which user can easily repair their system. So if you are unable to repair your system errors then simply download this effective tool and make windows 8 error-free. Running scandisk in Windows 8 or 8.1 is not a major issue if you have a perfect solution with you. However, you can try the above solution mentioned here in this blog to run chkdsk in Windows 8/8.1. The steps are so easy to apply and you don’t even need any technical help to do so. But, even running this command in your Windows 8 or 8 .1 system, if you find your system is running slow then you can try PC Repair Tool to boost your PC speed. This is very effective and it shows some positive results after you try this tool.